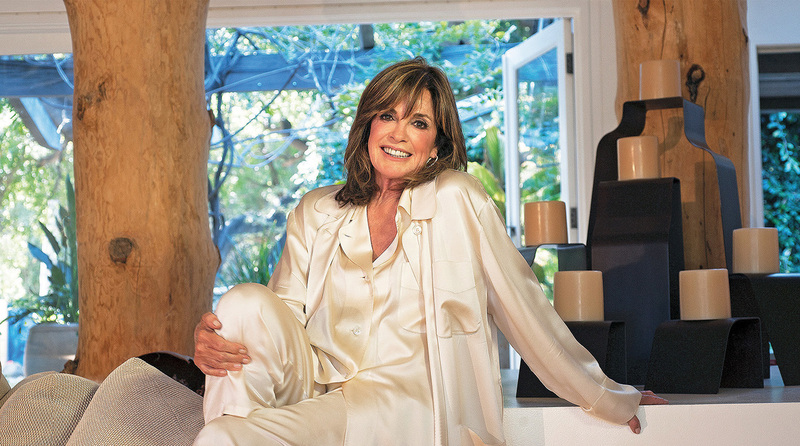 World-famous as Sue Ellen in 80s supersoap Dallas, Linda Gray loves to cruise. But which of her former co-stars is green with envy? You’ve sailed a few voyages with Princess Cruises. Did you have any preconceptions the first time? I have to say I hesitated when they invited me, because I thought, ‘Oh my gosh – what happens if I don’t like it?’ But I got on board and loved it. I took a while to get my sea legs, and I got lost a couple of times, but the people were wonderful and I made friends on board who I still see now. What surprised you most about the cruising experience? The size of the ship. When I first arrived at the dock, I said to the taxi driver, ‘Excuse me, could you stop the car for a moment – I just want to look at the ship.’ It was so huge that I couldn’t believe it was going to move! Then when I stepped on board I got into the spirit of the cruise immediately. The people who’d cruised before were all excited, there were reunions taking place everywhere, and it was a party immediately. Everybody was happy. I give a little talk about my life and career. There’s a question-and-answer session afterwards, then a book-signing when guests can come and meet me and take a few photographs. It’s a great few hours. Most of the people are fans of Dallas but we talk about everything. ‘What kind of skincare do I use’ – that’s always a popular question! So I become a real person to them, rather than someone they see on the screen, and that’s the best part for me. When I’m not doing my talks, I like to go to the spa and the gym – I’m there every morning, doing something to compensate for all the food I love to eat. And in the evenings I always enjoy the ‘movies under the stars’. Speaking of Dallas, how do you think Sue Ellen would feel about taking a cruise? I think she would love it! She’s totally pampered. She would prance around in her beautiful outfits and have the best time. Have you managed to convince any of your former co-stars to give cruising a try? I have spoken about it to Patrick Duffy [Bobby Ewing]. A little while back I went on a cruise from Norway to Italy. I had never seen the fjords before and it was an absolute dream. We hiked down this huge mountain and the next day I took a funicular up to the heights, so I could look down on the water – it was just spectacular. I told Patrick about that, and he was so envious! I love Italy. It’s blessed with many, many beautiful things, from architecture and food to music and fashion. And I love the way the Italians sit round tables and have dinner together. They don’t eat the way we do in America – they dine. I’m enthralled by the way they live, and by their joy of life. What do you pack for a cruise? A Kindle – which I think is the perfect thing to take on vacation, rather than ten books – and I also pack a selection of dresses for the formal nights. I take two little outfits for every evening, so I have plenty of choice. I love all that – it’s so nice that people make the effort to get dressed up. There’s an elegance about it that our society has mostly done away with. Everything is so casual now. Now you’ve been bitten by the cruising bug, would you consider taking your own family along? Absolutely. My family is always busy so it’s a bit of a challenge to get them all together – but everybody has voted to go on an Alaskan cruise. That surprised me because I didn’t know they all liked to be cold, but it’ll be the perfect holiday because everyone can do their own thing, and the kids won’t need to feel like they’re trapped with Grandma and Grandpa!